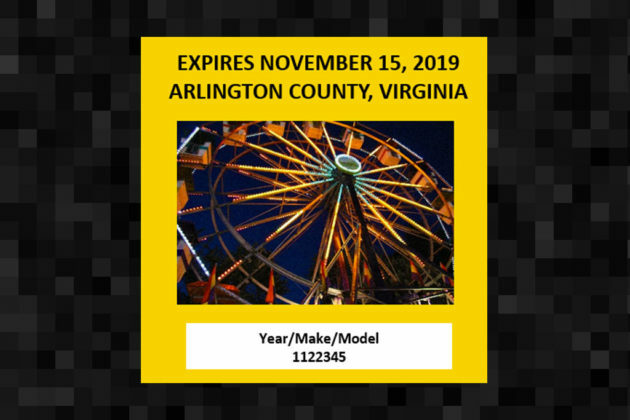 The County Board voted unanimously yesterday (Tuesday) to end the requirement that owners of vehicles parked in Arlington use a sticker to prove they’ve paid personal property taxes. 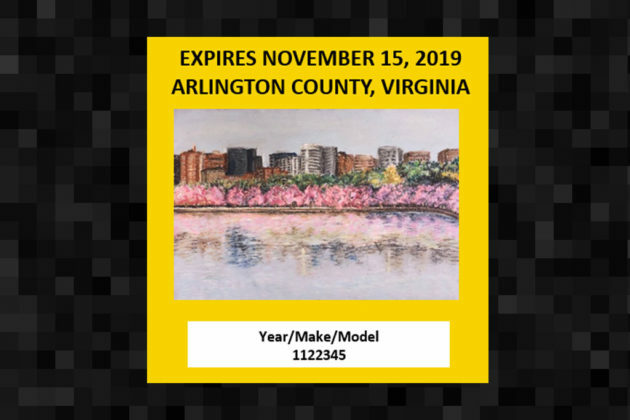 Arlington County’s 2018-2019 vehicle decals will have a drawing of its skyline behind blossoming cherry trees. 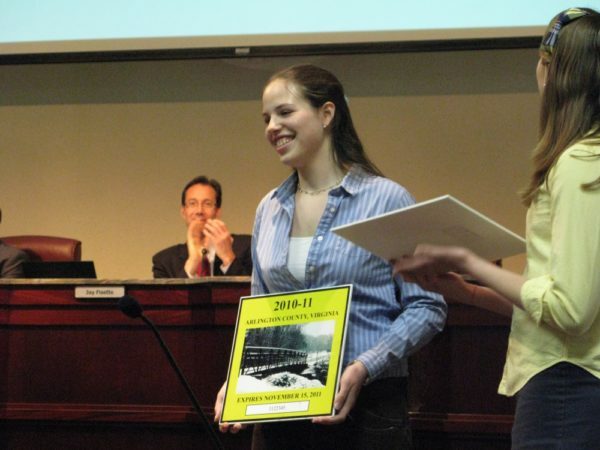 At the Arlington County Board’s meeting Tuesday (January 30), Treasurer Carla de la Pava announced that Schuyler Workmaster, a junior at Bishop O’Connell High School, won first place in the annual design competition over three other finalists. Workmaster, in her third year as a finalist, said she chose to draw the design as she was inspired by the county’s mix of urban and natural settings. 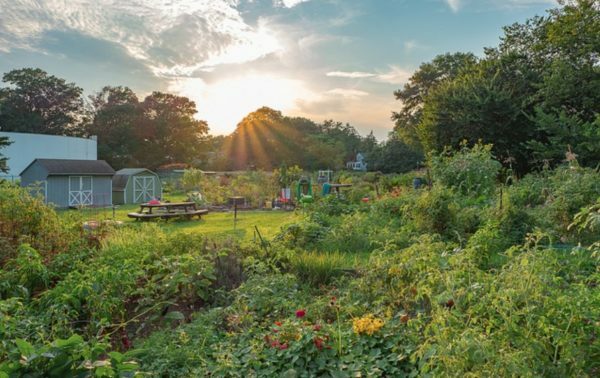 Workmaster’s work was chosen among design finalists from three fellow student competitors: last year’s winner Amy Kohan, a junior at Wakefield High School; Washington-Lee junior Tom Bolles; and Yorktown High School junior Maddy Heinemann. 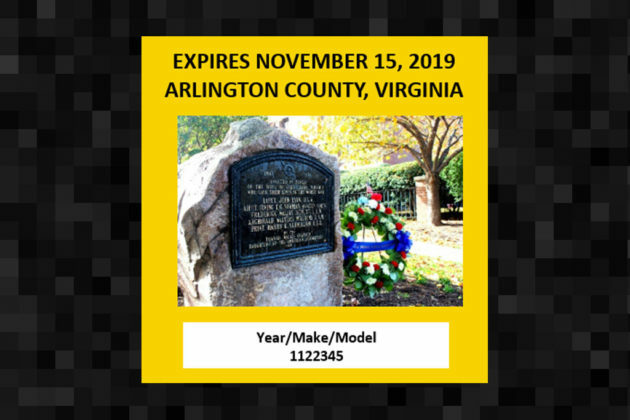 Workmaster will receive a $750 cash prize from the Arlington Community Federal Credit Union and her design will be displayed on approximately 160,000 vehicles starting later this year. A record 3,619 votes were cast in the competition, a figure de la Pava said is up 11 percent from last year. She said the interest in voting in the contest is huge across the county. Students are instructed to produce a design that represents Arlington. This year’s competition was widened to include anything that they felt represented World War I and the county’s participation in the war. 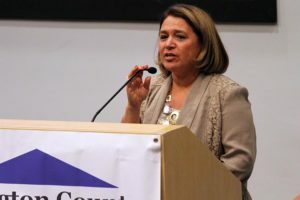 County Treasurer Carla de la Pava said the county has already collected around $18.2 million in prepayments from 2,300 accounts, with it still unclear whether taxpayers can deduct those prepayments from their 2017 federal taxes. And unlike some other jurisdictions, de la Pava said, Arlington is offering refunds on prepayments for those who have changed their minds about paying early. She said around 75 people so far have requested a refund. Under the new GOP tax bill, State and Local Tax (SALT) deductions are capped at $10,000. For many Arlington taxpayers with pricey homes, this means they will lose part of their deduction next year and thus potentially pay higher federal taxes. The Treasurer’s Office issued an advisory on how to request a refund on December 28, the morning after a ruling by the IRS limiting deductions to property taxes assessed in 2017. Arlington is unable to assess 2018 property taxes until the County Board sets the tax rate in April, and de la Pava said with so many things still up in the air, it was better to give taxpayers options. The full advisory issued by the Treasurer’s Office is after the jump. 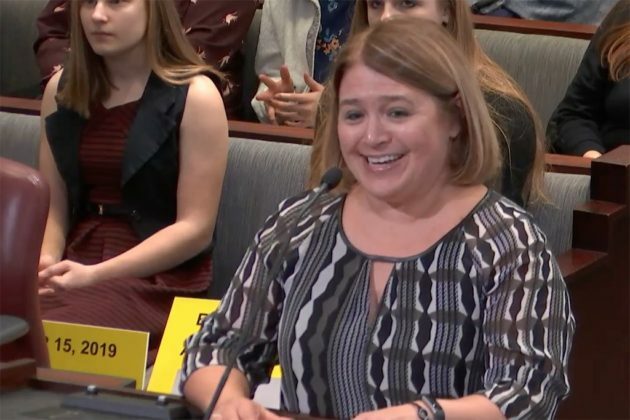 (Updated at 1:55 p.m.) Arlington County has collected some $11.5 million in property tax deposits for future years, according to Treasurer Carla de la Pava, but it’s unclear whether taxpayers will be able to deduct those prepayments from their 2017 federal taxes. 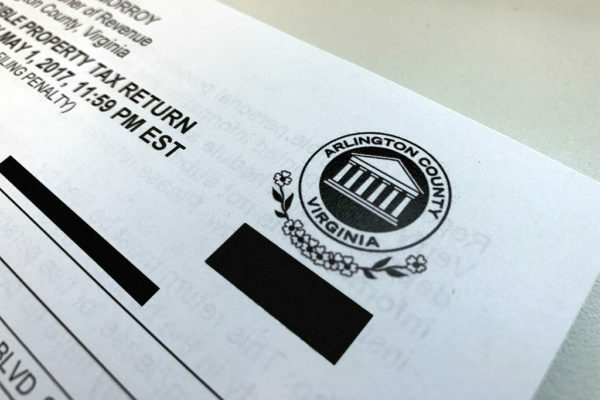 Following a ruling by the IRS yesterday, limiting deductions to property taxes assessed in 2017, the county issued a statement Thursday afternoon that made it clear that Arlington is unable to assess 2018 property taxes until the County Board sets the tax rate in April. The Arlington County Treasurer’s Office and Arlington County have received multiple inquiries based on the statement issued by the Internal Revenue Service on December 27, 2017, concerning deductibility of the property taxes. Neither the Treasurer nor the County staff will be offering individuals advice on tax issues and suggest people consult with a tax professional for any IRS related questions. Arlington County, through the Department of Real Estate Assessment issues real property tax assessments each year in mid-January. The assessments for Calendar Year 2018 will be completed in mid-January and mailed to residents at that time. Bills for taxes owed for calendar year 2018 are generated by the Treasurer after a tax rate is set by the County Board in April. De la Pava says the tax office has been inundated with tax deposits this week, but the activity has slowed considerably since the IRS ruling. Taxpayers hoping to save on their taxes before the $10,000 cap on state and local tax (SALT) deductions goes into effect next year have jammed the phone lines and the payment queues of the treasurer’s office. So far, $11.5 million in deposits have been made across more than 1,500 tax accounts, de la Pava said. That includes some $4.5 million collected over a six hour span Wednesday, before the ruling, but it also includes $1.8 million collected today following the IRS determination. De la Pava said that her office, which is roughly two-thirds staffed because of the holidays, handled 1,500 phone calls yesterday, while keeping wait times to around 30 minutes. De la Pava and other county officials are being careful not to give federal tax advice to residents given the ongoing uncertainty. “The only thing I can say is that the real estate assessments have not been made and will not be made in 2017,” she said. Bobby Grohs of RLG Tax Advisors, an Arlington-based CPA firm, told ARLnow.com that the letter of the law suggests that deposits for Arlington property taxes will not be deductible. But that has not stopped the tax deposits, which are continuing to flow in, though at a reduced rate. Some taxpayers believe that there will be lawsuits that may end up reversing the IRS ruling, we’re told. Other D.C. area jurisdictions, meanwhile, are collecting prepayments that should be deductible under the IRS rules. 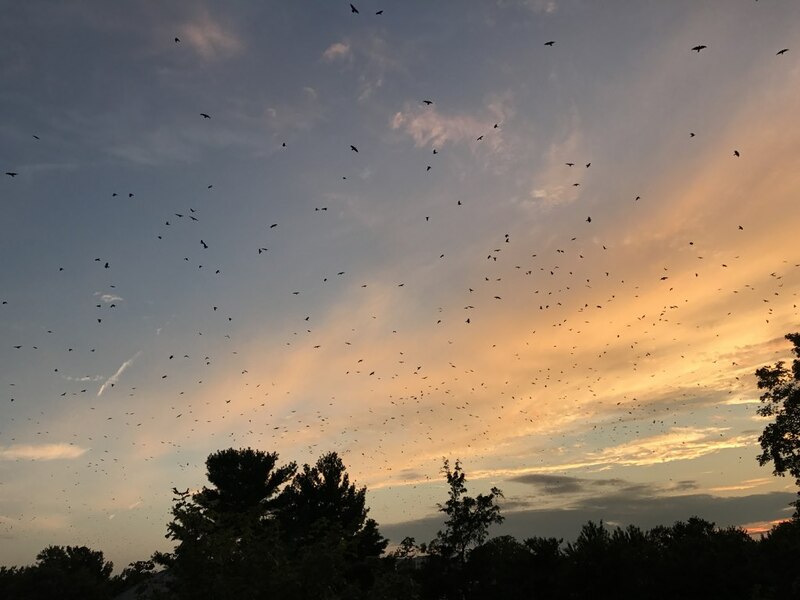 Among them are the City of Falls Church and the District of Columbia, which have already assessed next year’s property taxes. 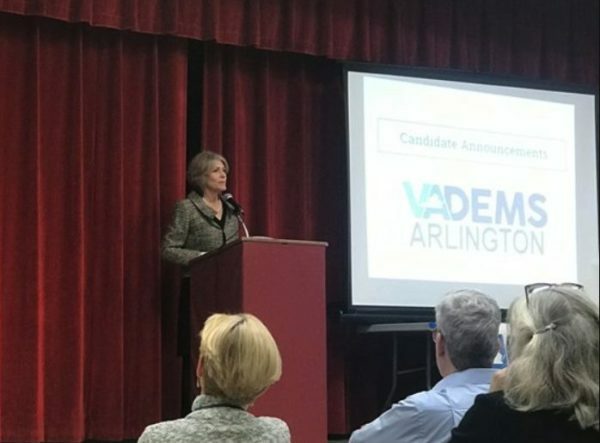 The Arlington County Board approved measures to reduce the late fee for real estate tax payments, replace the turf field at Washington-Lee High School and grant a $6 million loan for affordable housing at its meeting on Saturday. The County Board approved the proposal by Treasurer Carla de la Pava to reduce the late fee taxpayers are forced to pay from 10 percent to 5 percent, if taxes are paid within 30 days after the due date. Those who are more than 30 days late paying real estate taxes will continue to pay a 10 percent fee. The county estimates more than 1,000 residents will benefit from the fee reduction. “Sometimes, people accidentally miss a real estate tax due date but make their payment a few days later — of their own accord and without collection action by the Treasurer. In these cases, I believe a 5 percent penalty is much more appropriate,” de la Pava said in a press release. The County Board also approved a contract to replace the 10-year-old turf at Washington-Lee High School, spending $670,000 of the $1.6 million contract to install a new synthetic surface at high school. 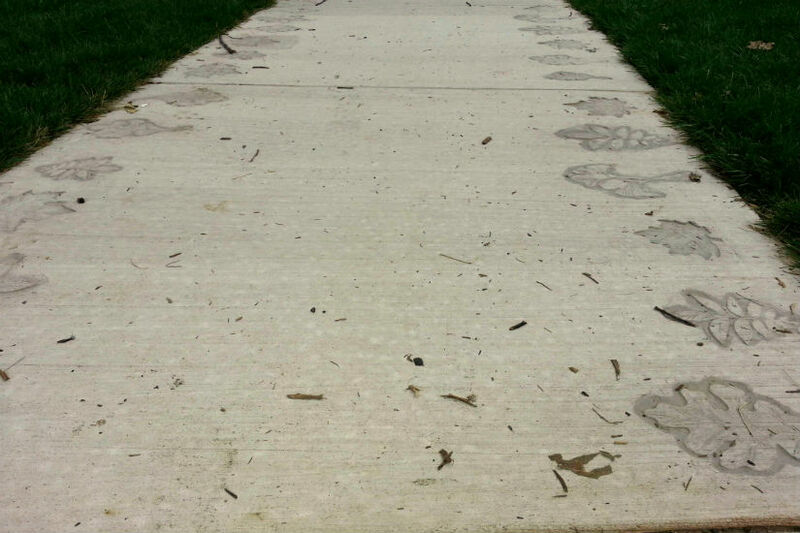 The turf had reached them end of its lifespan, according to county staff, after heavy use from students and the community. Construction on the turf — which will have an extra layer of padding to help prevent concussions — will start in June and is expected to wrap up in August, in time for fall sports. Additionally on Saturday, the County Board approved a loan from its Affordable Housing Investment Fund to McCormack Baron Salazar, which owns and manages the Clarendon Court Apartments (3814 7th Street N.) near Virginia Square. The loan, for $5.7 million, helps pay MBS for renovating the apartment community and keeping rents at 60 percent of Area Median Income or lower until 2075. Those who don’t pay real estate taxes on time could face lighter penalties this year. 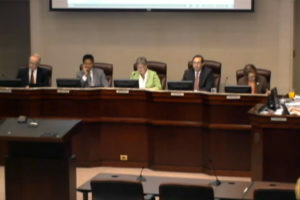 The Arlington County Board is considering a recommendation by Arlington County Treasurer Carla de la Pava to reduce the fee for a real estate bill paid up to 30 days late from 10 percent to 5 percent. Tax bills paid after 30 days would continue to incur a 10 percent penalty. The average real estate bill last year, which are paid in two installments a year, was $2,752.50, according to the treasurer’s office. If a resident paid on June 17, just two days after the June 15 deadline, he or she would have had to pay a $275.25 late fee. If the County Board approves de la Pava’s recommendation, that penalty would be cut in half, to $137.63. The treasurer’s office said 1,346 Arlington taxpayers paid their real estate taxes between one and 30 days late in 2014. The 10 percent late fee meant they paid a combined $535,721 in fees alone. If the late penalty had been reduced in FY 2011, the county would have taken in an average of $235,000 less each year, or just under $1 million. The reduced fee has already been included in the FY 2016 budget, according to county staff. The motion is on the County Board’s consent agenda on Saturday, which means it is likely to approve it without discussion. 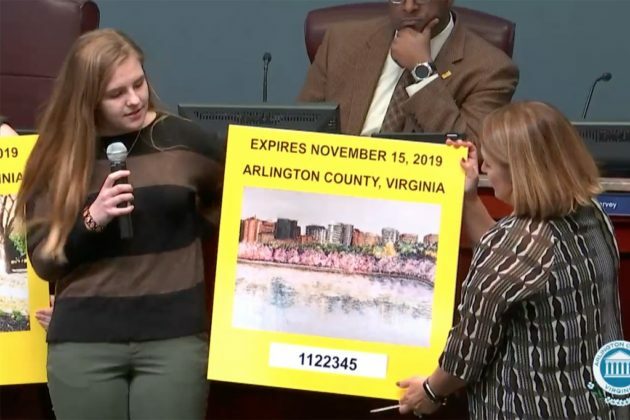 If the Board passes the motion, Arlington would be the first jurisdiction in Northern Virginia to not charge the maximum late fee on a real estate tax, according to county staff. 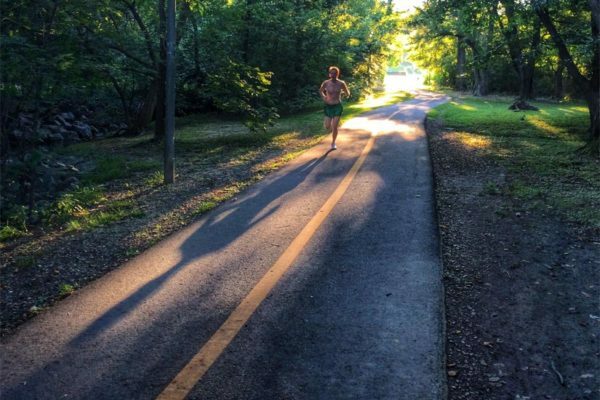 Cyclists Stopped on I-66 — A pair of bicyclists “dressed like Lance Armstrong” were stopped by Arlington County police on I-66 this morning, according to scanner traffic. It’s unclear why the cyclists were on the interstate. Police directed them to nearby Glebe Road.